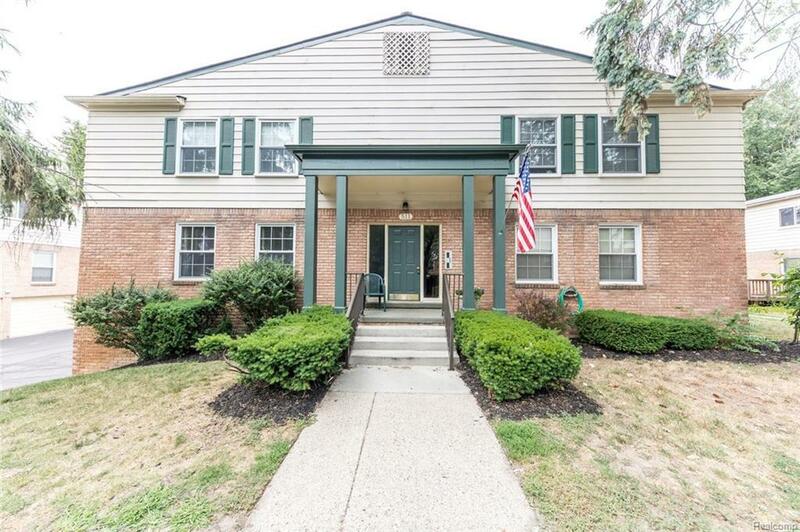 This charming 2 bed/1.5 bath condo in Rochester, minutes from parks, nature preserves, and shopping is the perfect home to call your own! Tons of natural light fills the spacious living room through the large windows and leads into the eat-in kitchen where you'll find hardwood floors, updated counters, great storage, and all SS appliances stay! Off the kitchen is a half bath and down the hall is the master bedroom that has a large WIC and private full bath! There's an additional entry to the condo from the 1 car attached garage!